Background: Tuberculous, parapneumonic and traumatic loculated pleural-effusions pose therapeutic challenges due to resultant pleural-thickening and compromised lung-function for life. Tuberculosis is widely prevalent in developing countries, necessitating appropriate, effective, and economical treatment for loculated pleural-effusion to reduce the burden and sequelae. Objective: An uncontrolled and blind before-after intervention study to determine the effectiveness of intrapleural fibrinolytic therapy (IPFT) using urokinase in loculated pleural effusions was conducted at a tertiary-care respiratory center after obtaining approval and written informed consent. Methods: Fifty-one patients with loculated pleural effusion were administered with repeated cycles of three doses of 1 Lakh IU of urokinase intrapleurally until complete drainage of pleural fluid. Pre- and post-IPFT clinical and radiological responses were compared using removal of fluid, ultrasound, and chest radiography were compared. The Kolmogorov-Smirnov test and paired t test with significance at a P value less than 0.05 were applied to test statistically significant differences in proportions and means, respectively. Results: Tuberculosis was the most common etiology leading to loculated pleural effusion (80%), and 82.4% of tuberculosis patients required at least two cycles of IPFT. Complete resolution in chest radiograph after IPFT was observed in 80.4% of patients. Chest pain (13.7%) and fever (9.8%) were the most common undesired effects associated with IPFT. A statistically significant reduction in mean intrapleural fluid levels pre- and post-IPFT from 184±81 ml to 67±52 ml was observed. Conclusion: IPFT with urokinase is an effective treatment modality in patients with post-tubercular loculated pleural effusions. IPFT has minimal and tolerable undesired effects and prevents sequelae such as pleural thickening and consequent compromise of respiratory function. Mason RJ, Broaddus VC, Martin TR, et al. Murray and Nadel’s Textbook of Respiratory Medicine. Elsevier Health Sciences; 2010. Idell S. The pathogenesis of pleural space loculation and fibrosis. Curr Opin Pulm Med. 2008;14(4):310-315. doi:10.1097/MCP.0b013e3282fd0d9b. Vorster MJ, Allwood BW, Diacon AH, Koegelenberg CF. Tuberculous pleural effusions: advances and controversies. J Thorac Dis. 2015;7(6):981-991. doi:10.3978/j.issn.2072-1439.2015.02.18. Light RW. Update on tuberculous pleural effusion. Respirology. 2010;15(3):451-458. doi:10.1111/j.1440-1843.2010.01723.x. Sahni AK, Singh SP, Kumar A, Khan ID. Comparison of IS6110 and ‘short fragment’ devR (Rv3133c) gene targets with phenotypic methods for diagnosis of Mycobacterium tuberculosis. Med J Armed Forces India. 2013;69(4):341-344. doi:10.1016/j.mjafi.2013.02.003. Khan ID, Sahni AK, Bharadwaj R, Lall M, Jindal AK, Sashindran VK. Emerging organisms in a tertiary healthcare set up. Med J Armed Forces India. 2014;70(2):120-128. doi:10.1016/j.mjafi.2013.09.005. Khan ID, Lall M, Sen S, Ninawe SM, Chandola P. Multiresistant Elizabethkingia meningoseptica infections in tertiary care. Med J Armed Forces India. 2015;71(3):282-286. doi:10.1016/j.mjafi.2014.02.002. Khan ID, Rajmohan KS, Gupta RM, et al. Invasive Cerebral and Pulmonary Mucormycosis in an Immunocompromised patient. J Basic Clin Med. 2017;6(2):9-11. 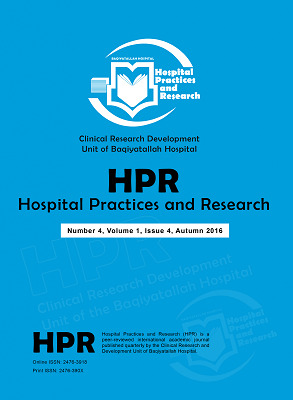 Khan ID, Basu A, Kiran S, Trivedi S, Pandit P, Chattoraj A. Device-Associated Healthcare-Associated Infections (DA-HAI) and the caveat of multiresistance in a multidisciplinary intensive care unit. Med J Armed Forces India. 2017;73(3):222- 231. doi:10.1016/j.mjafi.2016.10.008. Chung CL, Chen CH, Yeh CY, Sheu JR, Chang SC. Early effective drainage in the treatment of loculated tuberculous pleurisy. Eur Respir J. 2008;31(6):1261-1267. doi:10.1183/09031936.00122207. Abusedera M, Alkady O. Ultrasound-guided Pleural Effusion Drainage With a Small Catheter Using the Single-step Trocar or Modified Seldinger Technique. J Bronchology Interv Pulmonol. 2016;23(2):138-145. doi:10.1097/LBR.0000000000000276. Cantin L, Chartrand-Lefebvre C, Lepanto L, et al. Chest tube drainage under radiological guidance for pleural effusion and pneumothorax in a tertiary care university teaching hospital: Review of 51 cases. Can Respir J. 2005;12(1):29-33. doi:10.1155/2005/498709. Khan ID, Sahni AK. Rapid Diagnosis of Dengue Outbreaks in Resource Limited Facilities. West Indian Med J. 2017;66(1):4-9. doi:10.7727/wimj.2016.095. Sherry S, Johnson A, Tillett WS. The action of streptococcal desoxyribose nuclease (streptodornase)in vitro and on purulent pleural exudations of patients. J Clin Invest. 1949;28(5 Pt 2):1094-1104. doi:10.1172/JCI102142. Tillett WS, Sherry S, Read CT. The use of streptokinase-streptodornase in the treatment of postneumonic empyema. J Thorac Surg. 1951;21(3):275-297. Maskell NA, Davies CW, Nunn AJ, et al. U.K. Controlled trial of intrapleural streptokinase for pleural infection. N Engl J Med. 2005;352(9):865-874. doi:10.1056/NEJMoa042473. Balfour-Lynn IM, Abrahamson E, Cohen G, et al. BTS guidelines for the management of pleural infection in children. Thorax. 2005;60 Suppl 1:i1-21. doi:10.1136/thx.2004.030676. Cases Viedma E, Lorenzo Dus MJ, Gonzalez-Molina A, Sanchis Aldas JL. A study of loculated tuberculous pleural effusions treated with intrapleural urokinase. Respir Med. 2006;100(11):2037-2042. doi:10.1016/j.rmed.2006.02.010. Janda S, Swiston J. Intrapleural fibrinolytic therapy for treatment of adult parapneumonic effusions and empyemas: a systematic review and meta-analysis. Chest. 2012;142(2):401-411. doi:10.1378/chest.11-3071. Cameron R, Davies HR. Intra-pleural fibrinolytic therapy versus conservative management in the treatment of adult parapneumonic effusions and empyema. Cochrane Database Syst Rev. 2008(2):Cd002312. doi: 10.1002/14651858. CD002312.pub3. Abu-Daff S, Maziak DE, Alshehab D, et al. Intrapleural fibrinolytic therapy (IPFT) in loculated pleural effusions--analysis of predictors for failure of therapy and bleeding: a cohort study. BMJ Open. 2013;3(2). doi:10.1136/bmjopen-2012-001887. Nie W, Liu Y, Ye J, et al. Efficacy of intrapleural instillation of fibrinolytics for treating pleural empyema and parapneumonic effusion: a meta-analysis of randomized control trials. Clin Respir J. 2014;8(3):281-291. doi:10.1111/crj.12068. Khan ID, Gupta RM, Sen S, et al. Emerging Antimicrobial Resistance and Evolving Healthcare: Dangerous Crossroads for the Community and the Military. J Arch Mil Med. 2017;5(3):e12097. doi:10.5812/jamm.12097. Barthwal MS, Marwah V, Chopra M, et al. A Five-Year Study of Intrapleural Fibrinolytic Therapy in Loculated Pleural Collections. Indian J Chest Dis Allied Sci. 2016;58(1):17-20. Khan ID, Gupta N, Rangan NM, et al. Evaluation of Pre and Post Analytical Variables in Clinical Microbiology Services in Multidisciplinary ICU of a Medical College and Tertiary Care Hospital. J Basic Clin Med. 2016;5(1):2-4.